21′ Outdoor Kitchen w/ LC Oven Designs Octagon Pizza Oven » 21′ outdoor ktichen with LC Oven Designs gazebos pizza oven. 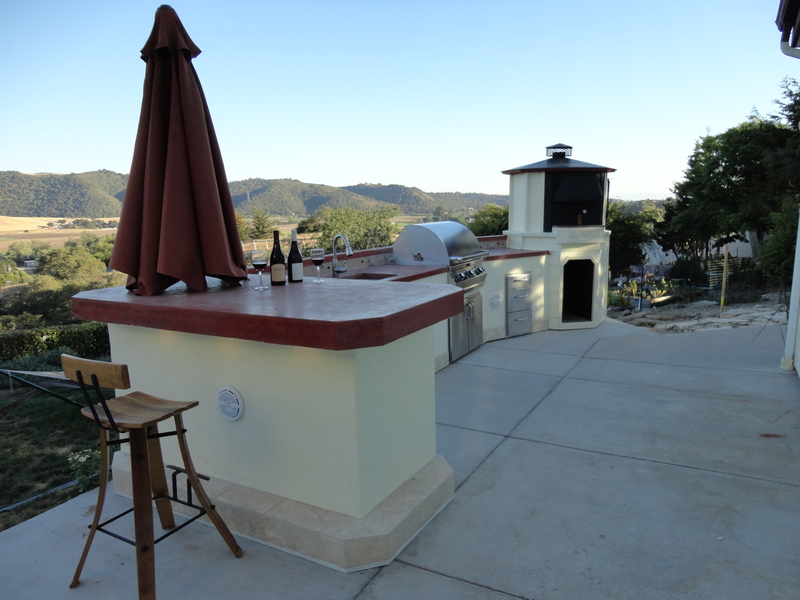 This outdoor kitchen features a Fire Magic BBQ and appliances with red concrete couter tops, stucco and tile finishes. The custom gazebos style pizza oven features a Poeric 36″ x 24″ LC Oven Designs kit. This entry was posted on Thursday, July 5th, 2012 at 1:24 pm. It is filed under . You can follow any responses to this entry through the RSS 2.0 feed. You can leave a response or trackback from your own site.